IRN Contacts and Roles data is managed by the Ohio K12 Help Team of the Management Council of the Ohio Education Computer Network. 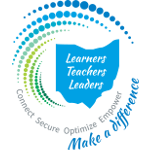 This data is essential to statewide support teams for a variety of programs most of which are available on the Ohio K12 Help Portal. If you have questions about your IRN contacts and roles, send an email to support@ohio-k12.help.